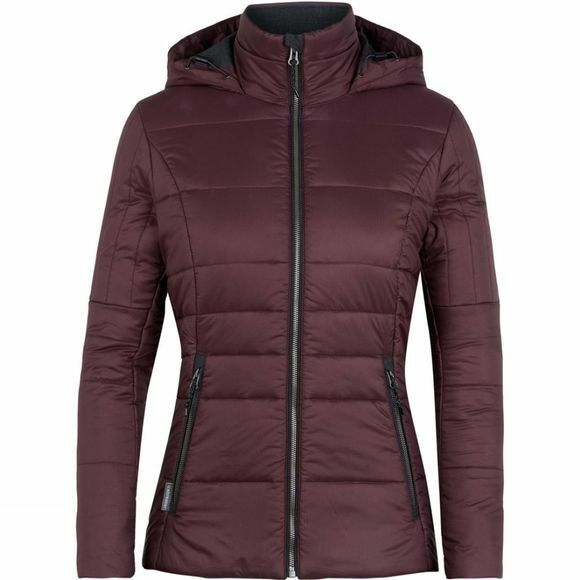 A modern winter jacket designed to bring versatile mountain looks and natural warmth to your everyday life and post-adventure pursuits, the Stratus X Jacket is as flattering and stylish as it is easy on the environment. The Stratus’ 100% recycled polyester shell is not only durable and eco-friendly, but it features a DWR finish that sheds wind and light precip during variable winter days. Inside, we used our innovative MerinoLOFT insulation, a sustainable and high-lofting alternative to synthetic fills made from all-natural merino wool (up to 10% of which is recycled), which retains warmth when wet and naturally helps regulate body temperature. We also lined the jacket with 100% woven merino wool for incredible next-to-skin softness and added an insulated collar inside the adjustable hood for additional cozy warmth. With classic alpine style cues, zoned quilting for thermal regulation, and front and internal pockets to secure your small daily essentials, the Stratus is a go-to choice for cold days around town.